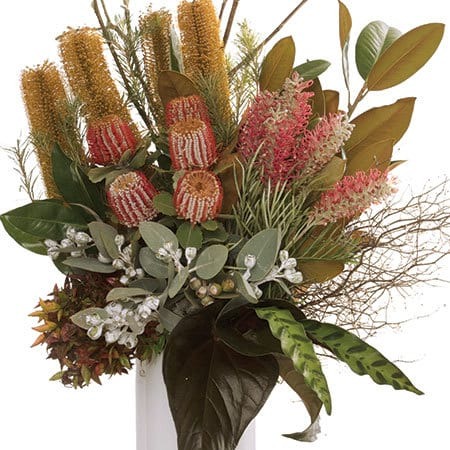 Our premium neutral native vase is a tall, contemporary floral design using long stems of seasonal natives in natural tones, such as banksia and grevillia. Tall branches give this arrangement dramatic height, while interesting and textural foliages in different colour tones add depth and contrast. 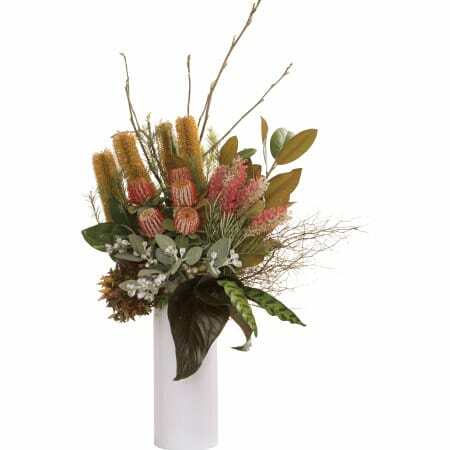 Delivered in a white ceramic vase, this long lasting flower arrangment would look fantastic in an office, home or special event. Order online now or give the team a call on 1800 66 66 46.